The 18-hole Big at Kalamazoo Country Club in Kalamazoo, MI is a private golf course that opened in 1909. Designed by Tom Bendelow, Big at Kalamazoo Country Club measures 6506 yards from the longest tees and has a slope rating of 132 and a 71. 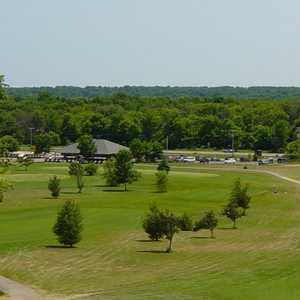 The 18-hole Crestview Golf Course in Kalamazoo, MI is a public golf course that opened in 1969. Designed by Dewayne Amsen, Crestview Golf Course measures 6241 yards from the longest tees. The course features 4 sets of tees for different skill levels. The 9-hole Grand Prairie Golf Course in Kalamazoo, MI is a public golf course that opened in 1964. Designed by William J. Spear, Grand Prairie Golf Course measures 1710 yards from the longest tees. The course features 2 sets of tees for different skill levels. 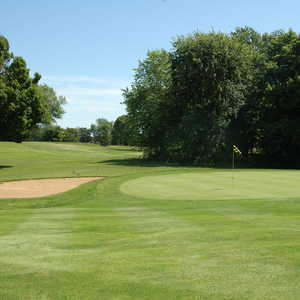 Situated on the southern edge of Kalamazoo, Milham Park Golf Club borders its namesake park. This municipal course is one of the best in the city, boasting some of the best conditions of any of the area's golf courses. The course has a traditional layout that is seemingly short by modern standards at 6,630 yards from the back tees. Don't let the yardage fool you, Milham Park offers many holes with good length. The 18-hole Prairies Golf Club in Kalamazoo, MI is a public golf course that opened in 1912. Prairies Golf Club measures 6345 yards from the longest tees. The course features 4 sets of tees for different skill levels. 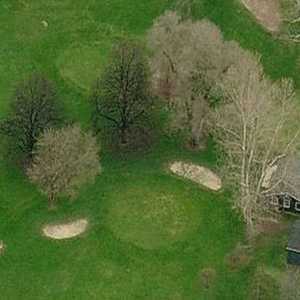 The 9-hole Red Arrow Golf Club in Kalamazoo, MI is a public golf course that opened in 1930. Red Arrow Golf Club measures 1308 yards from the longest tees. The 18-hole Red/Blue at Eastern Hills Municipal Golf Club in Kalamazoo, MI is a public golf course that opened in 1959. Red/Blue at Eastern Hills Municipal Golf Club measures 5965 yards from the longest tees and has a slope rating of 119 and a 70. Ridgeview Golf Course is characterized by the beautiful tree lines that adorn its gently rolling design. Though it's just a few minutes from downtown Kalamazoo, the tranquil setting makes it seem much further. The 9-hole Short at Kalamazoo Country Club in Kalamazoo, MI is a private golf course that opened in 1909. Designed by Tom Bendelow, Short at Kalamazoo Country Club measures 2000 yards from the longest tees. The 18-hole White/Blue at Eastern Hills Municipal Golf Club in Kalamazoo, MI is a public golf course that opened in 1959. White/Blue at Eastern Hills Municipal Golf Club measures 6626 yards from the longest tees and has a slope rating of 119 and a 70. The 18-hole White/Red at Eastern Hills Municipal Golf Club in Kalamazoo, MI is a public golf course that opened in 1959. White/Red at Eastern Hills Municipal Golf Club measures 5976 yards from the longest tees and has a slope rating of 120 and a 70.